Apologia – Who Am I? As part of The Old Schoolhouse Homeschool Crew I received Apologia’s Who Am I? to review. 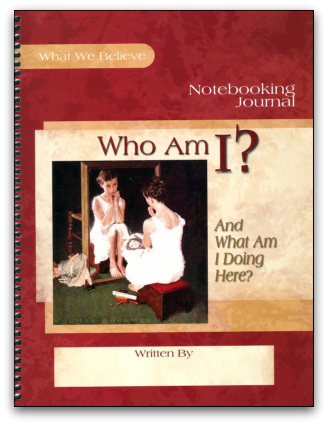 The second book in the What We Believe series, Who Am I? (And What Am I Doing Here?) helps children understand what it means to be fearfully and wonderfully made in the image of the Most High God. This study will enable students to develop a healthy self-image based on these biblical truths: God made me in His image and crowned me with glory; He has given me special gifts and a unique purpose in life; I can creatively express God’s love; I am meant to think about beautiful and praiseworthy things, especially God and His Word; I must make decisions based on God’s truth; I can always know the wise thing to do; I must cultivate the fruit of the Spirit in my life; I am a beloved child of God whose true identity is found in Christ. My kids and I enjoyed the lessons in Who Am I? Who Am I? is designed for children ages 6-14. Making it perfect for homeschooling families to read together. Younger and older children could also use it in my opinion. I used Who Am I? with my 11 and 13 year olds. Who Am I? is designed for students to work at their own pace. Older students can work through the text on their own, while younger students will enjoy your reading the lesson to them, or using the audio book mentioned below. My kids all enjoy hearing me read out loud, and prefer I do the reading when we’re working on something together. I found my 16 and 17 year olds would end up in the room listening, also. I found the stories very interesting myself. Children learn about world view and other religions through stories of other children. The stories are interesting, inspiring, and will open your children’s eyes to how others live. While at the same time helping them to come to know who they are and how God sees them. The book is divided into 8 lessons and recommends taking 3 weeks per lesson, working 2 days a week. Each lesson is designed to be flexible, and easily adapted to your families needs. There are several pages in the front of the book to help the parent/teacher help there students get the most out of the lessons. I found these very helpful. 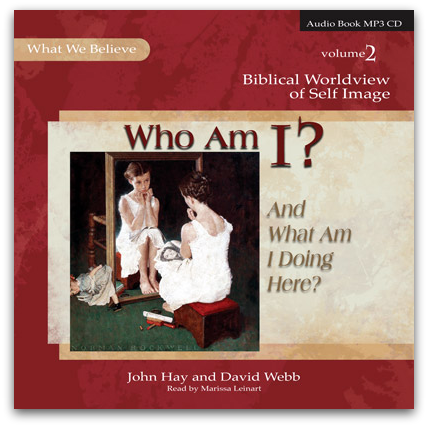 You can view a sample lesson from Who Am I? and the Who Am I? table of contents. The text suggests the children make notebooks of what they are learning and has ideas for notebook pages in the lessons. Apologia has made this even easier by offering a Notebooking Journal ($24). Also available to make your lessons easier is a Who Am I? Audi Book ($19). How nice it is some days to have someone else do the reading aloud! This is an MP3 CD, which means it won’t play in regular cd players. The Cd player has to read MP3 for it to work. It also works on the computer. It includes a MP3 CD player (on the CD, to be used on the computer) that is quick and easy to use. The voices on the CD are calm and clear, making it easy for all to listen. My son loved this Who Am I? 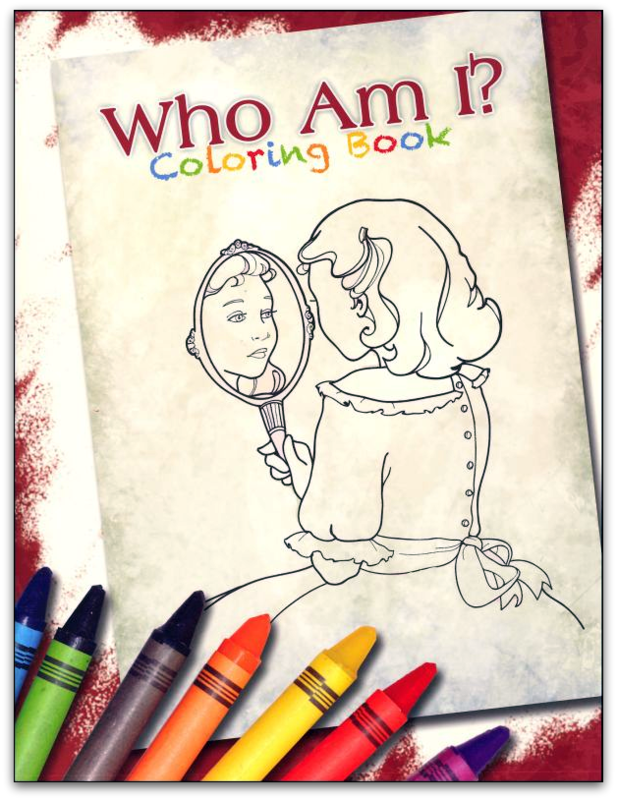 Coloring Book ($8.). The coloring book, 64 pages, reinforces what is learned in the lessons. It’s perfect for little ones to use while listening to the days lesson. Or for quiet activity later in the day that will help them remember the lesson. All the pages have either a line from the lesson or a Bible verse at the bottom. 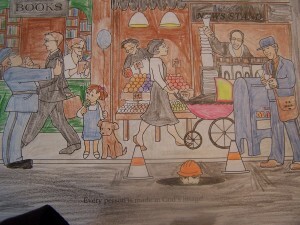 I had my son use the coloring book and he loved it. See what other The Old Schoolhouse Homeschool Crew members are saying about Apologia Who Am I?.